Most posts about cutting pack weight only focus on the physical act of cutting one’s pack weight. They neglect to talk about the other side of the process. 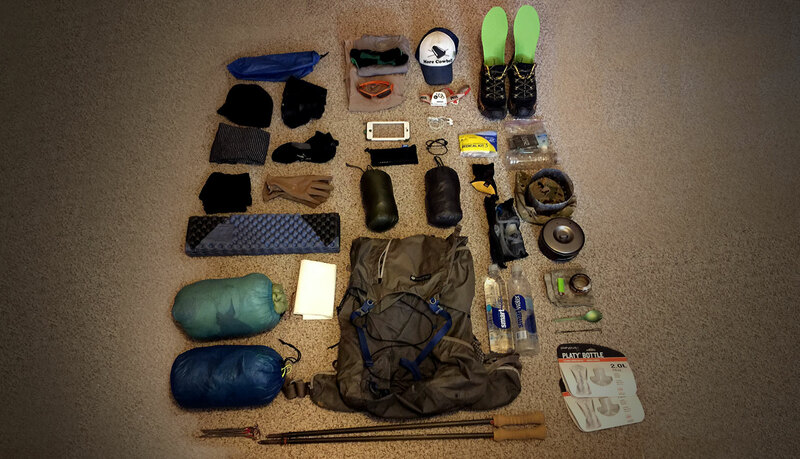 There is a Mental Side to Going Ultralight too. We’ve all heard about the “Big 3” (Pack, Shelter, and Sleep System), but another “Big 3” exist. They’re mental, not physical and include Trail Confidence, Compromise and Motivation. Without the “Mental Big 3”, the physical one cannot exist. One needs to be in the correct mental head space to physically cut pack. 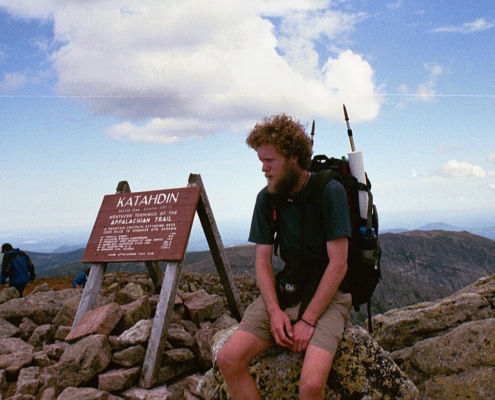 One must also change their approach to how they hike to be a light weight or ultralight hiker. You must rethink your gear choices, how you’ll use your gear, how you’ll deal with adverse conditions, and you have to have confidence, Trail Confidence. Trail confidence is probably the most important part of going ultralight and cutting pack weight. Most hikers carry too much because they lack experience. As one gains experience their Trail Confidence grows. As a result they become more confident in themselves and their gear. They also learn what works and doesn’t, as well as what they don’t need to be safe and comfortable. 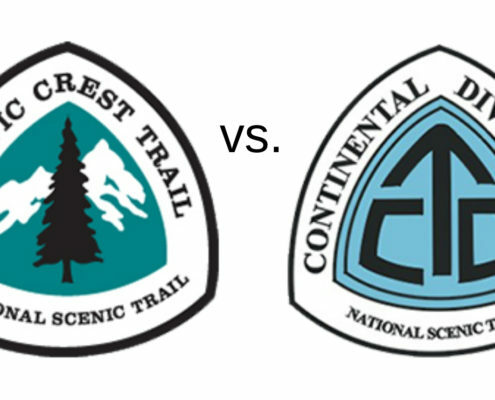 Trail Confidence isn’t just about experience but also being comfortable with one’s gear, the weather, one’s ability to survive, and deal with adverse conditions/situations. Accepting that you might be cold or uncomfortable, and wishing you didn’t have to push through adverse situations are reality for any hiker. Accepting and understanding this is key. You must know what you can and can’t deal with. Being confident in your gear and your ability to survive is Trail Confidence. Having a positive attitude is one part of it. One also must know their limits and leave the bravado at the trailhead and when conditions deem it necessary, change plans. 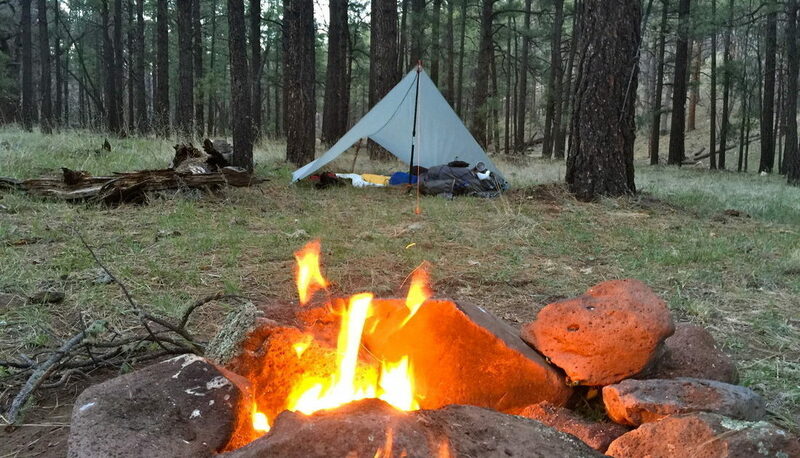 If you don’t have Trail Confidence you’re not going to ditch your tent for a tarp or leave half your clothes at home or go without rain pants. Trail Confidence will allow you to make the mental changes necessary to make compromises and motivation to start cutting pack weight. Cutting pack weight takes a willingness to compromise. Compromise can be good or bad. Depending on how you approach those compromises you make will determine whether they’re good or bad. 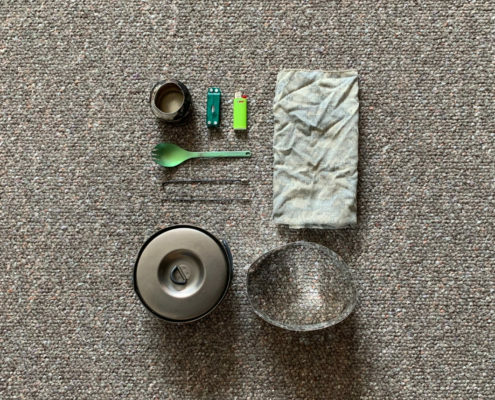 The compromises you’ll make to go ultralight will come in many forms. The volume of your pack, perceived comfort, ability to stay warm or dry, are just some examples. As mentioned above a smaller pack or pad, no rain pants or minimalist shelter or lighter temp sleeping bag will force you to rethink how you approach your hike. Making these types of changes to your gear set up will result in other types of compromises. These compromises are not tangible, but intangible compromises to how you hike. Carrying less means you not only have to be comfortable with your gear selection but how you deal with any situation that might arise. Your gear choice might mean compromising your late start time for an early one to avoid soft snow or bad weather. Personally I can say any compromises I’ve made in what I carry or how I hike haven’t been negative. I was able to do this because I accepted the possibility that certain luxuries might be lost in the process. Wet shorts, a few cold nights, flexible hike schedule, these are all temporary things. Whether or not these things affect your hiking experience is up to you. It takes motivation to do anything. If you’re not motivated you won’t make compromises and you won’t get out and test what gear works for you, meaning less Trail Confidence. Personally I was motivated to alleviate the stress on my body and go further. Just getting a heavy pack on your shoulders can be a daunting tasks in of itself. The idea one could cut their pack weight, resulting in more energy and less soreness was enough for me. I also was motivated to see more and hike more miles. Without motivation I don’t believe gaining Trail Confidence and Compromise is possible. Its one’s motivation that will allow them to make that mental switch talked about in this post. The more motivated you are, the more willing you’ll be to cut your pack weight and make changes. Here are some tips for both of the “Big 3”, the physical and mental. Go out and test different set ups. Know your limits, and those of your gear. Be completely comfortable with your gear choices. Don’t look at the compromises you make as compromises but improvements to a goal. Look for posts about what others did wrong not right. Most of us make the same mistakes but what works for someone else might not be right for you. There are many benefits to cutting pack weight. It takes less effort to do more with less energy. One’s camp experience is simpler and less cluttered. Hiking is easier on your body, and you’re able to cover more ground in less time and see more! The process of cutting pack weight can be a long and arduous process if you simply apply the old method of “trial and error” to see what works. If you’re willing to put in the time to do your research you can find ways to cut pack weight faster, while gaining some confidence along the way. Instead of just looking or asking what others did or what they carry, try looking for posts about what didn’t work or which mistakes others made. What works for some else might not work for you. But I can almost guarantee 90% of hikers make the same mistakes. 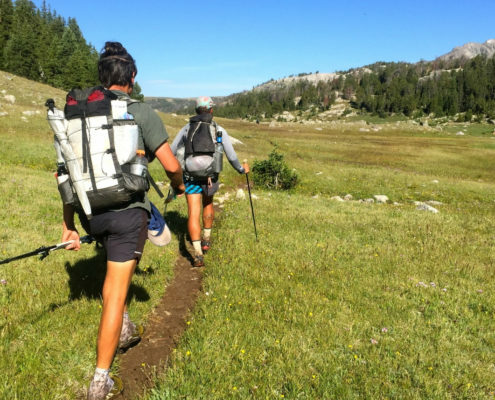 Hitting the trail as a light weight or ultralight hiker just takes research, confidence, common sense, and the ability to adapt once on trail. In the end it comes back to how you mentally approach hiking that is going to determine if you are comfortable hiking with less. 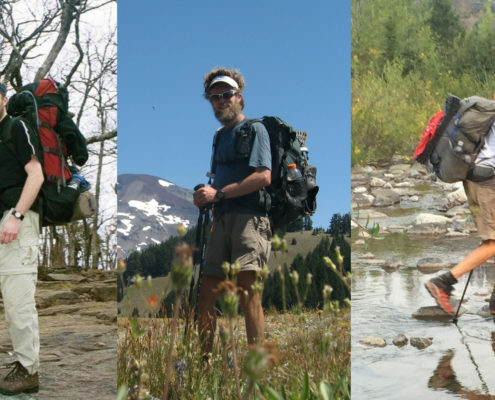 Most people fear not being comfortable and resist going ultralight as a result. With the right attitude and knowledge, ultralight hiking doesn’t have to be scary or uncomfortable.